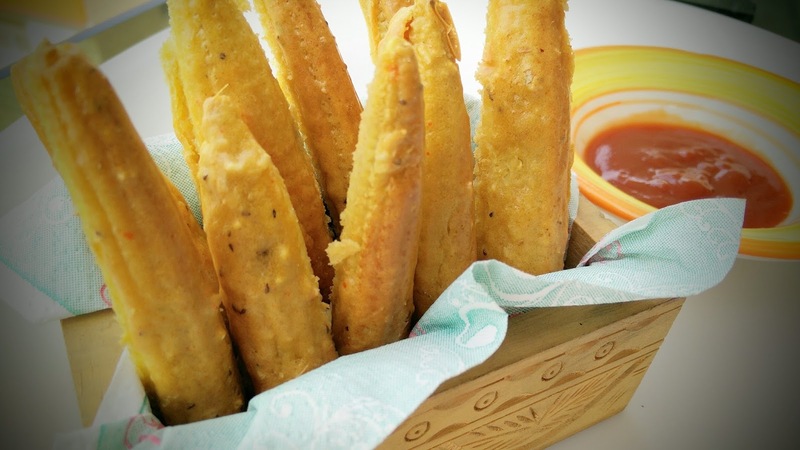 Yummy and healthy snack recipe which goes perfect for a tea party. Air frying these baby corn fritters also relives me from standing in the kitchen while my party is going on!!! 2. Add baby corns in the prepared batter. Coat each baby corn nicely. 3. Preheat Airfryer at 180 degrees. Place a foil paper in the basket. Place all baby corns coated with batter and air fry at 180 degrees for 10 min. 4. Once ready, allow the fritters to cool down slightly. Remove from foil paper and serve hot with ketchup. Corn Fritters is very yummy and healthy food. It contains essential nutrition and vitamin which would be helpful for baby.